Merry Christmas to all who are serving in uniform, no matter where in the world they presently are … and thank you for your service to the United States of America. O it’s “Thin red line of ‘eroes” when the drums begin to roll. O it’s “Please to walk in front, sir”, when there’s trouble in the wind. The Widow’s Uniform is not the soldier-man’s disgrace. An’ Tommy ain’t a bloomin’ fool — you bet that Tommy sees! In the summer and fall of 1966, the Marines and the North Vietnamese had clashed in the mountains northwest of Dong Ha. Soon afterwards, the Marine command placed a company of grunts at Khe Sanh to “monitor” the mountain infiltration routes into South Vietnam. In the spring of the next year, these grunts attracted two regiments of NVA soldiers into the hills around the isolated outpost. In April and May 1967, the grunts rushed in reinforcements and had attacked the entrenched enemy northwest of Khe Sanh. 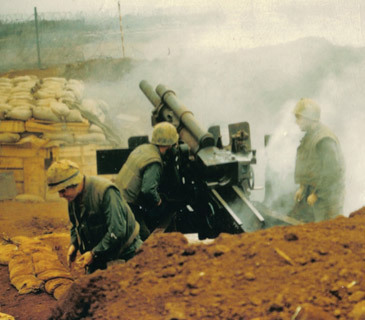 After those brutal battles, commonly called “the hill fights,” the North Vietnamese had withdrawn and the grunts retained only a token force at the Khe Sanh outpost. The small airstrip had always been the lifeline to Khe Sanh. In the fall of 1967, engineers had flown into the outpost and had spend almost three months laying crushed rock, asphalt, and steel Marston-matting on the airstrip. When finally reopened in late October, the new 3,900 foot long runway could handle VFR and IFR landings by any aircraft up to the size of a C-130 turboprop. The first new alarm signals began in the late fall of 1967. 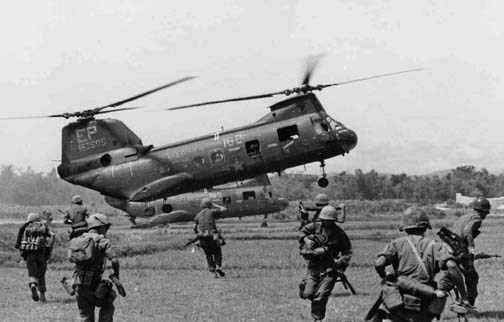 Helicopters routinely dropped recon teams into the hills, and they began making some startling discoveries. New trails crisscrossed the mountains and scores of NVA troops columns were spotted as they methodically converged on the plateau. Often the recon teams accidently landed near these NVA units and had to call the helicopter pilots back for an emergency evacuation. Looking down from above, pilots saw that new roads had been hacked out of the jungle. The columns of enemy trucks and troops were all headed for Khe Sanh. In response to the massive enemy buildup, the grunts raced in reinforcements. Soon, the entire 26th Marines would be airlifted to the small garrison, marking the first time since Iwo Jima in World War II that all of its battalions had deployed for combat together. More helicopters flew in to bolster the garrison. Huey gunships squatted between new protective revetments, and H-46’s stood ready to haul recon teams into or out of the surrounding hills. Pilots and air crewmen spent their time digging deeper bunkers and waiting for the enemy onslaught that everyone predicted would come. In my younger years, conventional parents and teachers encouraged boys and girls to read stories written about famous Americans. I recall reading about William Penn, George Washington, Thomas Jefferson, Benjamin Franklin, Daniel Boone, Davy Crockett, Kit Carson, George Custer, Ulysses Grant, and Robert E. Lee. They weren’t academically vetted manuscripts, of course —they were intended for elementary aged children, after all. It is also true that some of these stories contained as much myth as fact, but it was the reading of these stories that gave children heroes —people who were, according to pre-communist educators, worthy of emulation. I am not alone, apparently. Another young man was exposed to these kinds of stories. His name was Lewis Burwell Puller. He was born in West Point, Virginia on 26 June 1898 —making him a little more than 8 years younger than my grandfather. He grew up reading the same kinds of stories as I did more than 50 years later, but he also grew up listening to the tales of civil war veterans as they recalled the great confederate generals: Lee, Jackson, Longstreet, and Stuart. Puller attempted to join the Army in 1916 to fight in the border war with Mexico, but he was too young and his mother refused to sign his enlistment papers. In 1917, Puller attended the Virginia Military Institute, but left at the end of his first year because World War I was still going on; he said he wanted to go to the sound of the guns. By this time, the tales of the 5th Marine Regiment at Belleau Wood had inspired Puller to enlist in the U. S. Marine Corps, which he did in 1918. Private Puller was shipped off to boot camp at the Marine Corps Recruit Depot, Parris Island, South Carolina. Puller never saw combat during World War I, but the Marine Corps was expanding; not long after graduating from boot camp, Puller was sent to NCO School and subsequently, Officers Candidate School (OCS). On 16 June 1919, Puller received a commission to Second Lieutenant in the U. S. Marine Corps Reserve. A year later, large-scale military deactivations led to his release from active duty. Puller was placed on inactive status and assigned the rank of corporal. During the years progressives refer to as the banana wars, Marine Corps Noncommissioned Officers were often commissioned as officers in the military of public safety services of foreign countries. It was thus that Corporal Puller received orders to serve in the Gendarmerie d’Haiti in the rank of lieutenant. 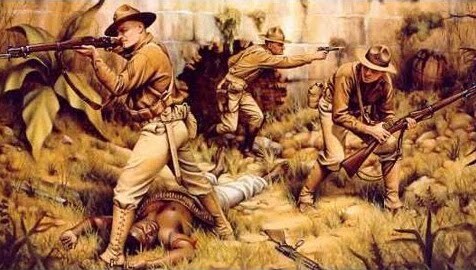 US occupation of Haiti began in 1915 and lasted until 1934. Woodrow Wilson first sent the Marines to Haiti resulting from a series of political assassinations carried out by peasant brigands called Cacos. For more than five years, Puller participated in 40 operations against the Cacos and in 1922, served as an adjutant to Major Alexander Vandegrift. 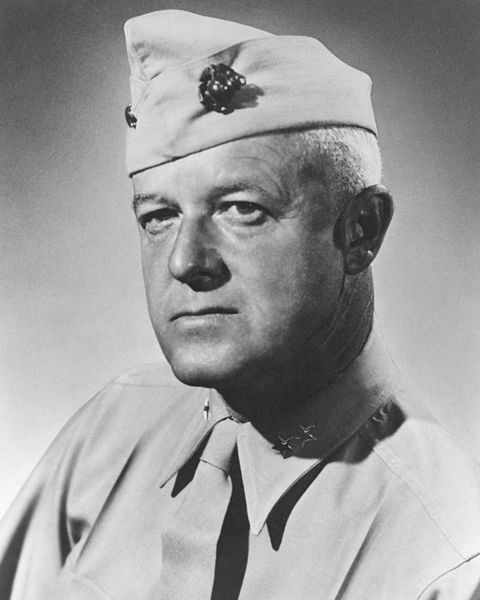 Major General Vandegrift would later command the 1st Marine Division on Guadalcanal, win the Medal of Honor, and accept appointment as Commandant of the Marine Corps. Puller was re-commissioned a second lieutenant in the U. S. Marine Corps in 1924. After attending service schools and two assignments at Marine security barracks, Puller was assigned in 1928 to duty with the Nicaraguan National Guard detachment. During his service in Nicaragua, Puller was awarded two Navy Cross medals, representing the nations second highest award for valor. By the time Puller was promoted to major, he had additionally served with the American Legation in China on two occasions, two sea duty tours aboard USS Augusta, and instructor duty at the Marine Corps basic school for officers. 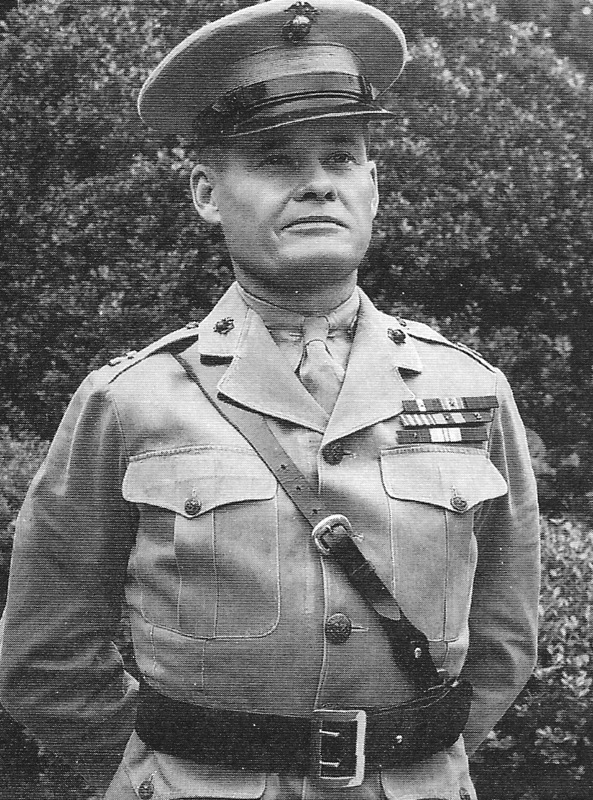 In August 1941, Puller was assigned to command the 1st Battalion, 7th Marine Regiment, 1st Marine Division, which was at the time stationed at New River, North Carolina. The base was later renamed Camp Lejeune. During World War II, Puller commanded Marines on Guadalcanal, Cape Gloucester, New Britain, Pelélieu, and various elements of the 7th Marines, 5th Marines, and 1st Marines. 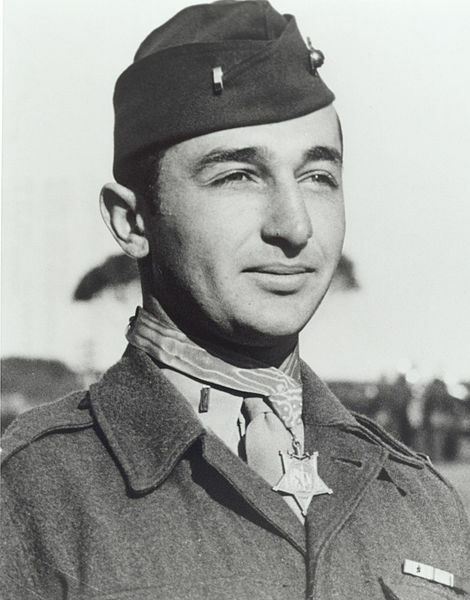 During the Pacific Campaign, Puller received a Bronze Star Medal, his third and fourth award of the Navy Cross, the Legion of Merit, and a promotion to Colonel. Puller was promoted to Brigadier General in January 1951 and was assigned as Assistant Division Commander of the 1st Marine Division. Although promoted successively to Lieutenant General, Puller’s health forced him to retire in 1955 with 37 years of service. In addition to the awards already mentioned, Puller received the Purple Heart Medal, and three awards of the Air Medal. 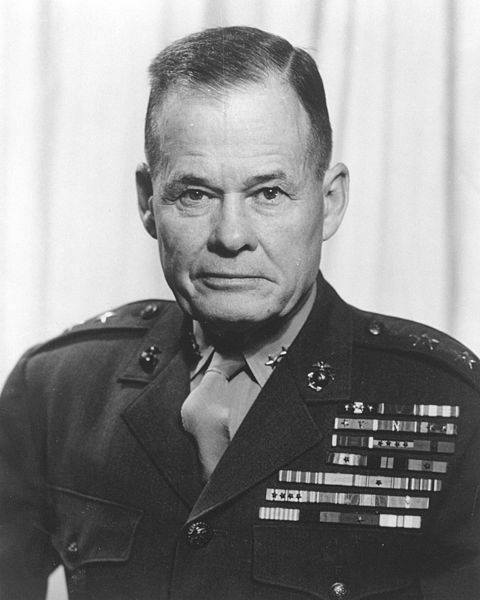 It is believed that General Puller remains the most highly decorated Marine in the history of the United States Marine Corps. General Puller passed away in 1971. The ink on Japan’s instrument of surrender was barely dry when in the framework of the cold war began to manifest itself in the arrangement between the United States and the Soviet Union in their joint control of the Korean peninsula. The Potsdam Conference (July-August 1945) had decided that the allies would unilaterally divide Korea—as part of the Roosevelt-Stalin plan to rule the world. No one bothered to tell the Koreans this, of course. On 8 September 1945, Lieutenant General John R. Hodge arrived in Inchon, Korea to accept the Japanese surrender south of the 38th parallel. 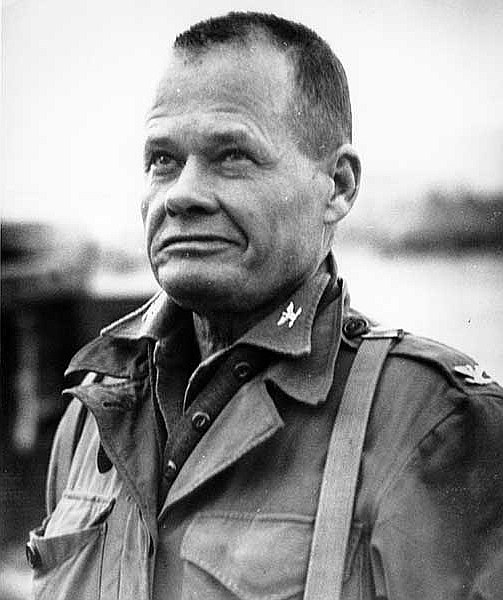 Hodge, having been appointed military governor, directly controlled South Korea as head of the U. S. Army Military Government in Korea (USAMGIK). 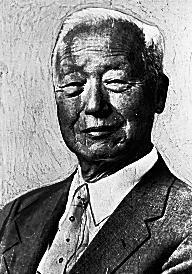 Hodge’s methodology for restoring order and seizing control was to restore power to key Japanese colonial administrators and Korean police collaborators. Voiding Korean sovereignty resulted in civil insurrections and guerrilla insurgencies. No one has ever accused the American government of having much sense. In April 1948, between 14,000 and 60,000 citizens were killed during an uprising by South Korean soldiers, but within a month South Korea held its first national general election. The Soviets boycotted these elections (naturally), insisting that the United States honor the provisions of the Moscow Conference in March 1948. Three months later, Korea held it’s parliamentary elections, producing a staunchly anti-communist government, led by a unfalteringly anti-communist dictator, Syngman Rhee. Opposing Rhee was the North Korean shill, Kim Il-Sung. In the first half of 1950, Kim Il-Sung traveled to Moscow on several occasions to confer with his masters about reunifying Korea by force, and so we have to say that the Soviet military was extensively involved in putting together a war plan on Kim’s behalf. Indeed, from 1948 on, the Soviet Union began arming the North Korean army and training (advising) its key components. Initially, Stalin did not think the time was right for an armed invasion of the southern peninsula; China was still fluttering in the aftermath of its civil war, and Stalin did not want the Soviet Union to become engaged in a war with the United States. Nevertheless, in April 1950, permission was granted to launch an attack against the South Korean regime. They pounced on 25 June 1950 and no one in the Truman administration had a clue. Prior to the invasion, US Secretary of State Dean Acheson somehow managed to exclude Korea from the so-called Strategic Asian Defense Perimeter—a diplomatic guarantee to certain countries and regions in Asia for US military protection. Truman, it seems, was far more concerned with the security of Europe than he was the Korean peninsula. At least, this is how the North Koreans and the Soviets saw it. In any case, on the morning of 25 June 1950, the ever-effeminate UN threatened to hit North Korea with its purse and the North Koreans laughed —as they should. 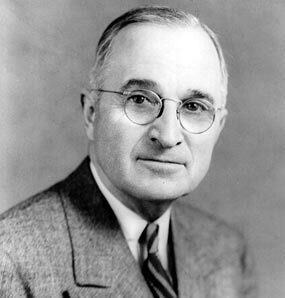 Meanwhile, following the end of World War II, Harry S. Truman decided that the American people could no longer afford a military of any consequence, and so he began significant reductions to army, navy, and strategic air forces. They called it “Defense Budget Economization.” It gutted the United States military and created a rift between the Air Force and Navy referred to today as the Revolt of the Admirals. Truman had no love for either the Navy or Marine Corps. The effects of these cuts were substantial in the U. S. Marine Corps, which had been reduced from six divisions and five air wings at the peak of their World War II strength, to 3 of each in the post war period. But it was far worse than that. The 1st Marine Division at Camp Pendleton had only two regiments, rather than three. Each regiment was reduced to two battalions, rather than three; each battalion reduced by one Line Company, and each company reduced to two rifle platoons and a weapons platoon. Thus, the effect of North Korea’s invasion of South Korea on the morning of 25 June 1950 on the west coast Marines was significant. 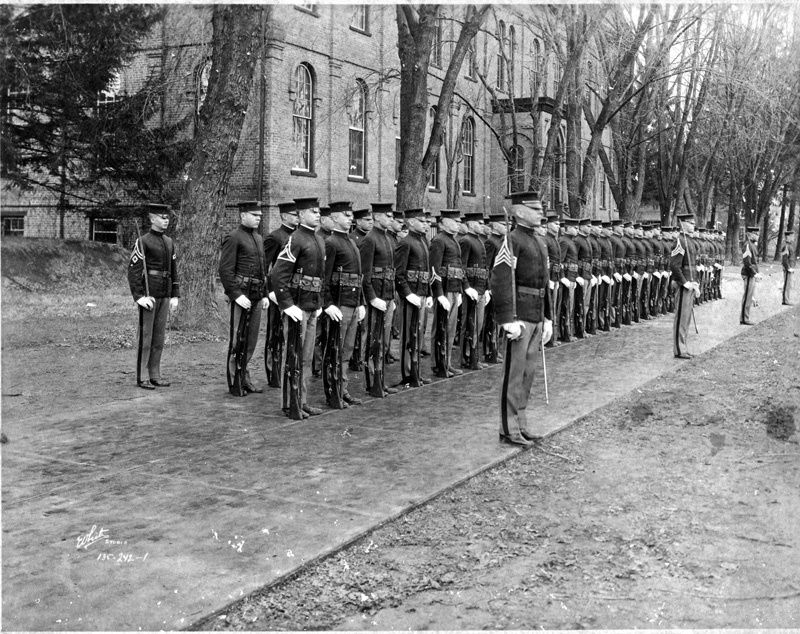 Meanwhile, Marines from Hawaii to the East Coast of the United States began clamoring for assignment to combat duty, including one colonel of some renown known to all Marines as “Chesty.” Assigned to command the brigade was a Marine Corps brigadier general by the name of Edward A. Craig, a distinguished officer who had served in both world wars. Many of Craig’s key leaders, both officer and enlisted, were combat veterans from World War II. This was a luxury denied to most Army units at the time, thanks to Truman’s incompetence. The 1st Provisional Marine Brigade was officially reactivated on 7 July 1950; it sailed for Korea seven days later. When they hit the ground in Korea on 3 August 1950, they hit the ground running toward the guns. Again, “Canteen” Truman and his hatchet man Louis Johnson had so gutted the military that U. S. Army forces in Korea were barely holding on against the onslaught of the North Korean attack. In short order, the North Korean Army managed to push US Forces all the way south on the Korean peninsula to a place called Pusan —and then encircled it. “The situation is serious. With the forces available, it is obvious that the perimeter cannot be held in strength. Eighth Army has adopted the plan of holding thinly and counter-attacking enemy penetrations to keep them off balance, to prevent them from launching a coordinated effort. “At the moment, General Walker is undecided in what area we’re going to be used. We may go north of Taegu and operate on the left flank of the 1st Cavalry Division, or we may go west to check an enemy advance along the Masan Road. It all depends where the where the greatest threat develops. “We are going into battle against a vicious, well-trained enemy in what will be an extended land campaign. Unfortunately, we will have to forget the plan of an amphibious landing. We will miss the vehicles we had to leave behind; much of our moving will be done on foot. Therefore, we will leave all nonessential supplies and equipment in storage on the docks right here; we’ll carry with us two days rations and two units of fire. At 2300 hours that very day, Marines began their march to Changwon. The fire was started. For the next months, until the 1st Marine Division was brought up to combat strength and shipped to Japan, and General MacArthur had formulated his plan for an unheard of amphibious landing at Inchon (perhaps the last place on the planet anyone should want to make an amphibious landing), 1st Brigade Marines would be thrown into one engagement after another along the Pusan salient. The Pusan perimeter was an area extending 120 linear miles, consisting of mountains, plains, and rivers. As the North Koreans forced the US Army to retreat, Eighth Army sent in Marines to recapture lost territory. Once the Marines defeated the NKA, Army units would reoccupy the terrain, and the Marines redeployed elsewhere. In some cases, Eighth Army directed the Marines to recover the same ground on multiple occasions. Too many Marines were dying because Army units lacked the guts to hold on to captured territory. The Marines were becoming irritated. We cannot lie this at the feet of the average soldier. Generally, he was an inexperienced young man who was poorly trained, poorly led, and poorly equipped. His NCOs were inexperienced in war, the quality of company grade officers was wretched, and his senior officers lacked a warrior ethos. These factors alone explain why the United States Army in Korea came very close to being destroyed by the North Korean Army. In 30 days, the Marines of the 1st Provisional Brigade moved more than 350 miles to meet the enemy at critical points. It was the beginning of bad feelings between Marine and Army units serving in the Korean War —a rancor that is still noticeable at VFW clubs among those who experienced it first-hand. Harry Truman was barely qualified for enlisted service in the Missouri National Guard due to his poor eyesight. Having served in an artillery battery between 1905-1911, he rejoined the unit in 1917. His men elected him as an officer and he was subsequently commissioned a first lieutenant. He was very popular with his men as the officer in charge of the battalion canteen. A unit of fire is the amount of ammunition a weapon will use in a day of battle. Henry Lewis Hulbert (12 Jan 1867—4 Oct 1918) was one of those Marines of the “old breed” I enjoy reading about. He was the first born of a prosperous Kingston-Hull, Yorkshire, England family, and this enabled him to attend Felsted School in Essex and later, to enter the British Colonial Service. 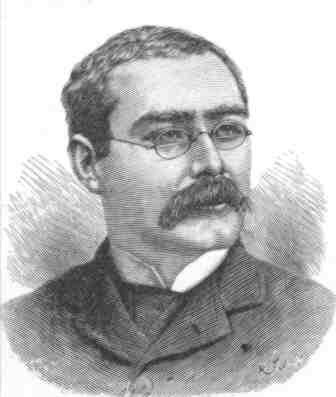 His first appointment was in Malaya, where he married Anne Rose Hewitt, but a subsequent scandal and divorce led him to leave Malaysia for the United States. At the age of 31, Hulbert enlisted in the U. S. Marine Corps (1898) and completed boot camp at Mare Island, California. His initial line assignment placed him in the company of 200 fellow Marines in a joint British-American intervention expedition to Samoa. During the Second Samoan Civil War, then Private Hulbert distinguished himself in combat and was subsequently awarded the Medal of Honor due to his gallantry and intrepidity under fire. By the time the United States entered World War I, Hulbert was serving at the highest enlisted rank. Sergeant Major Hulbert served on the staff of Marine Corps Commandant, Major General George Barnett. Then, just prior to America’s entry into the war, Hulbert was appointed as the first Marine Corps Gunner (warrant officer) and was reassigned to the Fifth Regiment of United States Marines on 27 March 1917. Hulbert was five months past his 50th birthday. As the United States began to prepare for war, senior officers realized that the Corps was significantly short of company grade offers —those who ordinarily command platoons and companies. As a consequence, the Marine Corps promoted Gunner Hulbert (and others) to the rank of second lieutenant (temporary). 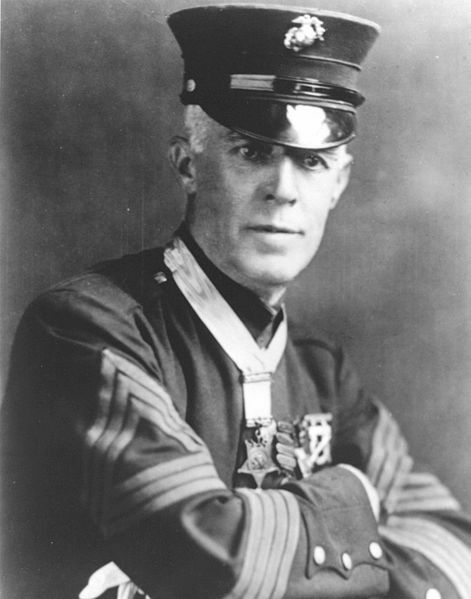 During World War I, Lieutenant Hulbert participated in the Battle of Belleau Wood, and during this battle was recognized several times for courage under fire. He was awarded the Distinguished Service Cross, and recommended for a battlefield commission to Captain. At the Battle of Soissons, Hulbert distinguished himself further but was killed in action on 4 October 1918 at Mont Blanc Ridge. He was posthumously promoted to the rank of captain, and awarded the Navy Cross, Purple Heart, and Croix de Guerre (France). A U. S. Navy destroyer (DD-342) was named in his honor and was commissioned from 1920 to 1945. Oct. 26 falls on a Thursday this year. Ask the significance of the date, and you’re likely to draw some puzzled looks — five more days to stock up for Halloween? It’s a measure of men like Col. Mitchell Paige that they wouldn’t have had it any other way. What he did 58 years ago, he did precisely so his grandchildren could live in a land of peace and plenty. Whether we’ve properly safeguarded the freedoms he and his kind fought to leave us as their legacy, may be a discussion better left for another day. Today we struggle to envision — or, for a few of us, to remember — how the world must have looked on Oct. 26, 1942. A few thousand lonely American Marines had been put ashore on Guadalcanal, a god-forsaken jungle island which just happened to lie like a speed bump at the end of the long blue-water slot between New Guinea and the Bismarck Archipelago — the very route the Japanese Navy would have to take to reach Australia. On Guadalcanal the Marines built an airfield. And Japanese commander Isoroku Yamamoto immediately grasped what that meant. No effort would be spared to dislodge these upstart Yanks from a position that could endanger his ships during any future operations to the south. Before long, relentless Japanese counterattacks had driven the U.S. Navy from inshore waters. The Marines were on their own. World War Two is generally calculated from Hitler’s invasion of Poland in 1939. But that’s a Eurocentric view. The Japanese had been limbering up in Korea and Manchuria as early as 1931, and in China by 1934. By late 1942 they’d devastated every major Pacific military force or stronghold of the great pre-war powers: Britain, Holland, France, and the United States. The bulk of America’s proud Pacific fleet lay beached or rusting on the floor of Pearl Harbor. As Mitchell Paige — then a platoon sergeant — and his men set about establishing their last defensive line on a ridge southwest of the tiny American bridgehead at Henderson Field on Guadalcanal on Oct. 25, it’s unlikely anyone thought they were about to provide a definitive answer to that most desperate of questions: How many able-bodied U.S. Marines does it take to hold a hill against 2,000 desperate and motivated attackers? The Japanese Army had not failed in an attempt to seize any major objective since the Russo-Japanese War of 1895. But in preceding days, Marine commander Vandegrift had defied War College doctrine, “dangling” his men in exposed positions to draw Japanese attacks, then springing his traps “with the steel vise of firepower and artillery,” in the words of Naval historian David Lippman. The Japanese regiments had been chewed up, good. Still, American commanders had so little to work with that Paige’s men had only four 30-caliber Browning machine guns on the one ridge through which the Japanese opted to launch their final assault against Henderson Field, that fateful night of Oct. 25. Among the 90 American dead and seriously wounded that night were all the men in Mitchell Paige’s platoon. Every one. As the night wore on, Paige moved up and down his line, pulling his dead and wounded comrades back into their foxholes and firing a few bursts from each of the four Brownings in turn, convincing the Japanese forces down the hill that the positions were still manned. In the end, Sgt. Paige picked up the last of the 40-pound, belt-fed Brownings — the same design which John Moses Browning famously fired for a continuous 25 minutes until it ran out of ammunition in its first U.S. Army trial — and did something for which the weapon was never designed. Sgt. Paige walked down the hill toward the place where he could hear the last Japanese survivors rallying to move around his flank, the gun cradled under his arm, firing as he went. The weapon did not fail. Coming up at dawn, battalion executive officer Major Odell M. Conoley first discovered the answer to our question: How many able-bodied U.S. Marines does it take to hold a hill against two regiments of motivated, combat-hardened infantrymen who have never known defeat? On a hill where the bodies were piled like cordwood, Mitchell Paige alone sat upright behind his 30-caliber Browning, waiting to see what the dawn would bring. And that’s where the unstoppable wave of Japanese conquest finally crested, broke, and began to recede. On an unnamed jungle ridge on an insignificant island no one had ever heard of, called Guadalcanal. Because of a handful of U.S. Marines, one of whom, now 82, lives out a quiet retirement with his wife Marilyn in La Quinta, California. When the Hasbro Toy Co. called up some years back, asking permission to put the retired colonel’s face on some kid’s doll, Mitchell Paige thought they must be joking. But they weren’t. That’s his mug, on the little Marine they call “GI Joe.” And now you know. Note: Colonel Mitchell Paige passed away on 15 November 2003.